I promise, I am not going to be a buzz kill. There are so many things I am thankful for. Health, home, family, blah, blah, blah. The holidays are a really weird time of year, in my book. My family is spread out, most of the people I would choose to spend the holidays with are in Chicago. I miss them terribly, and haven't been able to spend a proper holiday with them since being laid off in April 2008. My mother lives in Florida. I did spend a Christmas with her about 5 years back. I had surgery a few days prior to Christmas, so the kids and I flew out there so she could help me with them while I recovered. (Yes. You read that correctly. 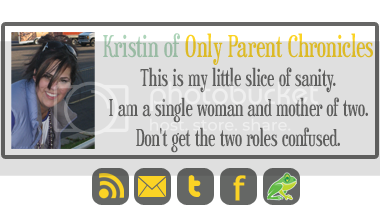 I had surgery, THEN, with my single mom income, paid for 3 tickets to Florida to have my mother help me with my then 4 and 5 year old children. She did not come to me. And yes, I flew with both of those kids, by myself, the day after surgery...) I am annoyed about how little she is able to participate in her children and grandchildren's lives unless we come to her thankful that she kept them entertained while I stayed in bed for a few days recovering. Redneck Brother and his wife live about 15 minutes from here. That is where my monsters and I will be spending Thanksgiving this year. My brother is an amazing cook (but you can't tell him that, because his already inflated ego gets totally unbearable), and I'm looking forward to eating there. The family dynamic and interaction part should be just short of torture, however. My brother has VERY little patience for children. In addition, he is bossy, demanding, and believes that all things in this world should be done HIS way. (Or else you're a raging idiot and should be killed.) I don't exactly do anything HIS way. (Partly because I think he's dumb, and partly because his way is stupid. -Is that redundant?-) So in order to have delicious food I didn't have to prepare, and in an attempt to "spend time with loved ones", I have spent the last few days preparing myself for criticism on my parenting, criticism of my children's behavior (predominantly The Girl's - who as we know, has multiple behavioral health diagnosis and is medicated), an intermittent stream of suggestions on how I can be a better me, and being barraged with stories of why my brother and his wife are far superior to the rest of the world. I hope that everyone in bloggyland can find something to be thankful for, despite poor financial or employment circumstances, despite crazy family, despite illness, despite anything that may be bringing you down. I am thankful for my rotten children. They may be a handful, but they are all mine. I love them to pieces and can't imagine my life without them. I am thankful for my home, for having some work (even though it isn't full time of glamorous, it's income), for friends - great friends, who I turn to before the crazy people I call family any day! I am thankful for my family, despite their shortcomings, I love them. Which is why I put up with them and they put up with me. I am thankful for good health. I and both kids are physically well and I am so grateful for that. 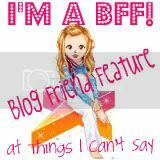 I am also thankful for all of my bloggy friends! You guys are awesome and contribute soooo much to my sanity! 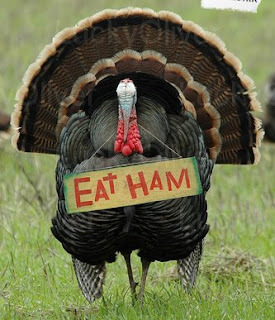 Happy Thanksgiving to you all, and I will see you again on Sunday! Ah family. You got to love them since it's illegal to kill them. Have a Happy Thanksgiving. Hmmm...sounds like a, um, good time? :) The things we do for good food, eh? Happy Thanksgiving! And have a good weekend! I have a fat head BIL that sounds like he would get along real well with your brother. Yup. That sounds about right. Most of us have disfunction somewhere along the lines. If your brother fries his turkey, it would be worth enduring almost anything he can dish out. Have a great Thanksgiving! The joys of family!!! I totally hear ya! Especially on the mom thin (haven't seen mine in 10 years-doesn't know she has a granddaughter) but that's a story for another day. Hope you have a great day, despite the mountains you must climb. You are such an amazingly strong woman! (I know, I've said that before), but I do so admire your spirit! I love that you love your rotten children - faults and all. It's just not a family get together without a little dysfunction thrown in. Hope the food was yummy and the criticism not too harsh! Ah, family. You gotta love em right? Hope you got a little rest and without the side of criticism. You know, as I make the rounds today catching up, I'm reading about everything everyone is thankful for this season. I too have a large list that blesses me beyond belief, yet my dumbass chose to post Maxine comics yesterday instead of my Thanks list. I think I'm feelin a bit bad about that... oh well... CHEERS! Here's hoping yesterday was without homocide and full of great blog fodder!